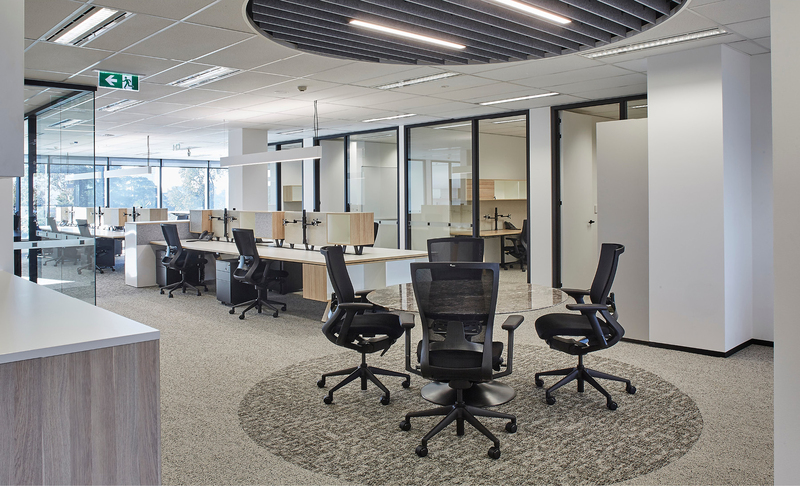 The Indigo is compatible with both our Wing and Province meeting and boardroom tables, and media hubs. 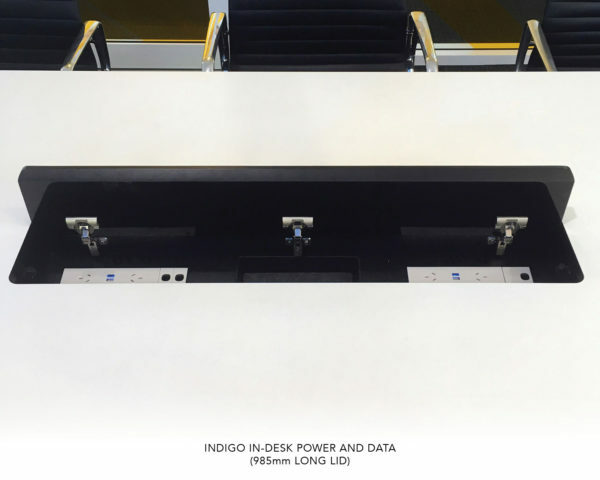 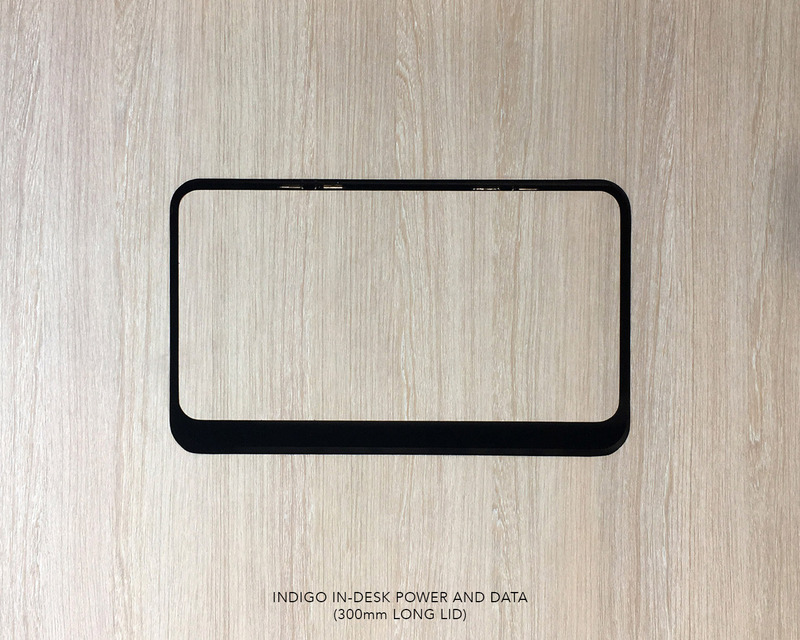 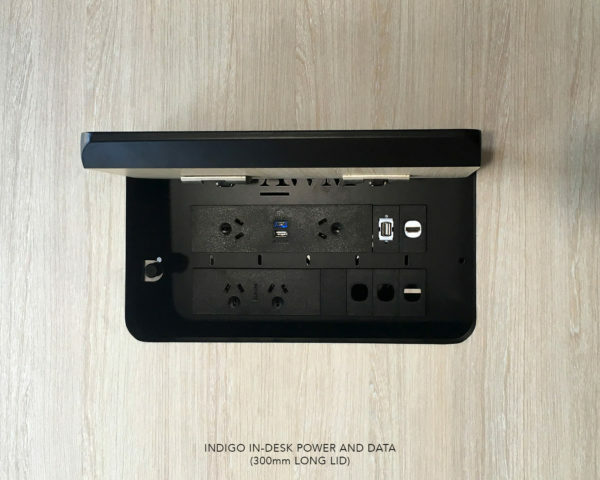 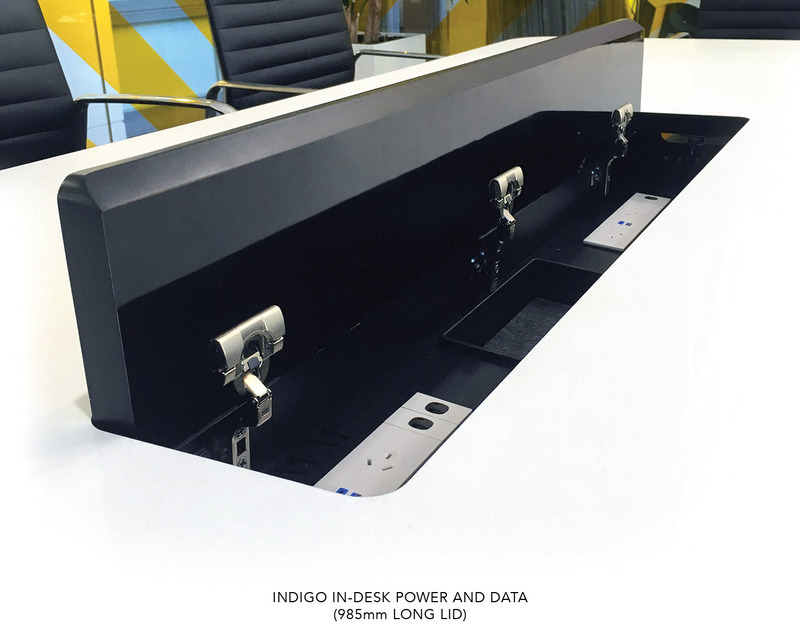 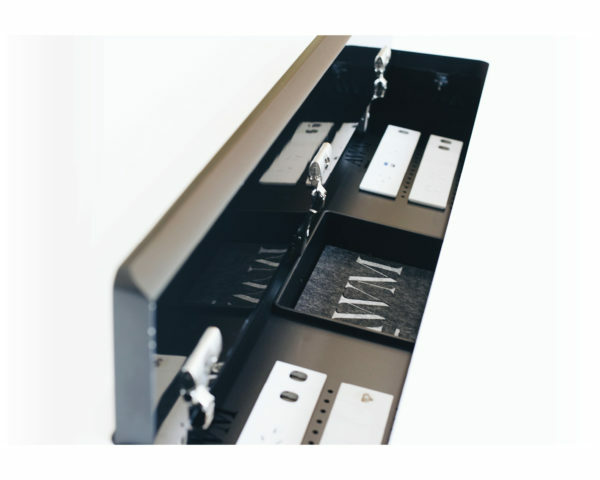 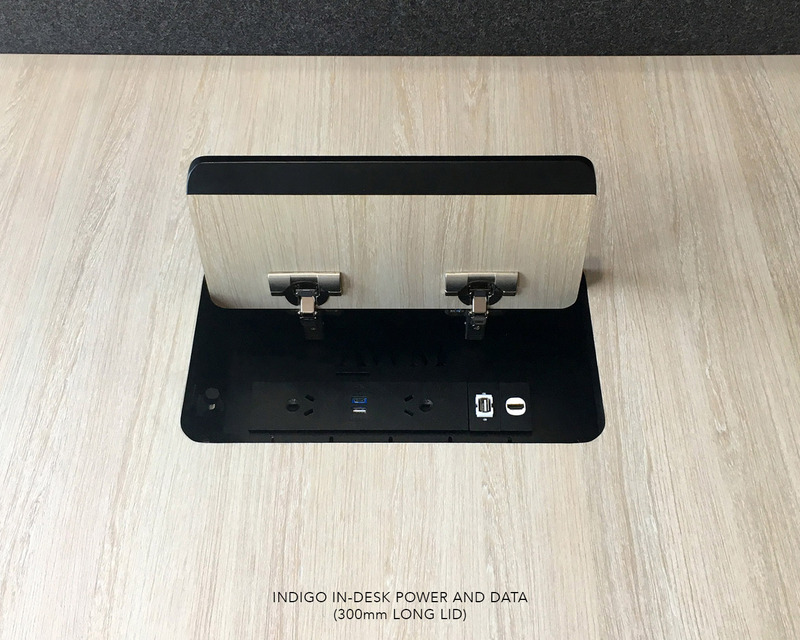 The Indigo lid is an innovative and effective in-desk power and data management solution for meeting and boardroom tables. 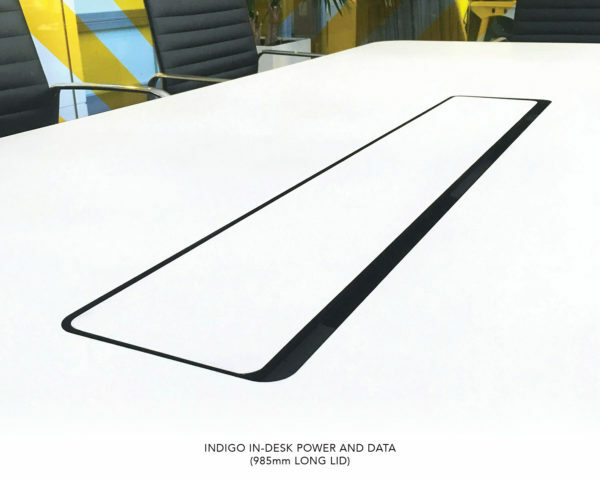 The Indigo has been designed to incorporate the existing table material as the lid and sits flush on your table, giving your meeting or boardroom table a seamless, professional result. 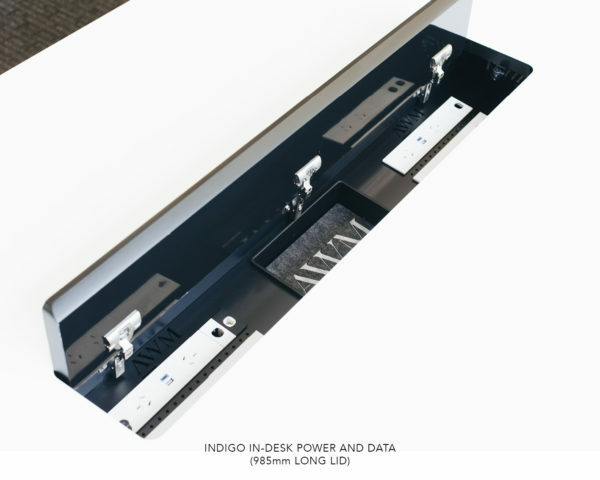 The under tray of the Indigo allows for power only, data only, or a combination of power, data and AV. 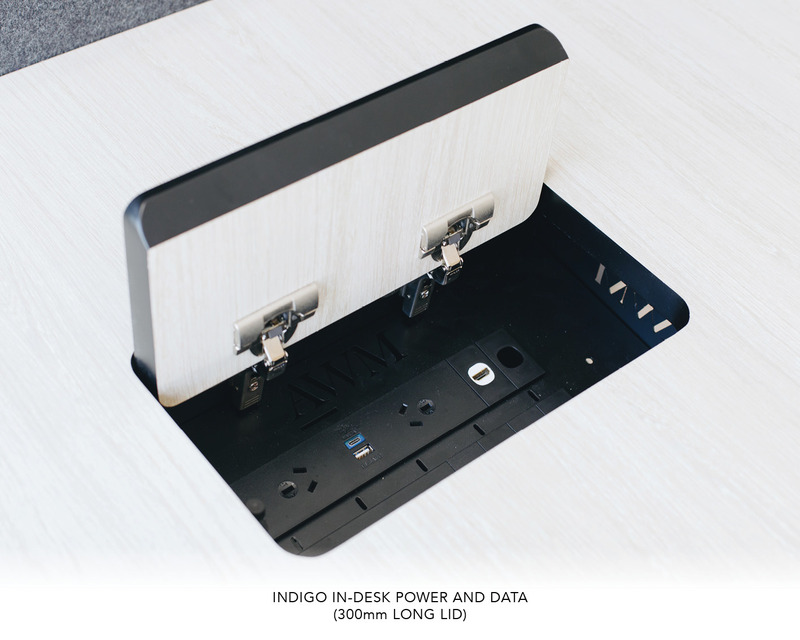 The possibilities are almost endless allowing for almost any length of lid, any size of power/data/connectivity in any size table top configuration.